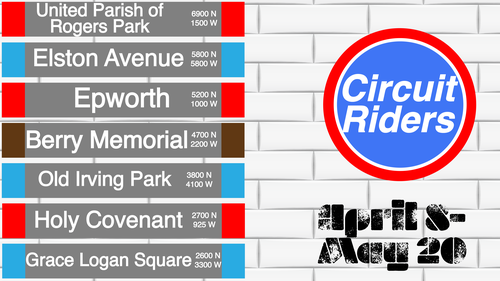 UCRP joins 6 other churches that will together do CTA Circuit Riders Sermons Series. These six pastors, including Pastor Hope and, are our student Sabrina Bermingham, will take a topic on United Methodist identity, structure, or history. UCRP will be bless to hear from these different dynamic, urban pastors and remember our United Methodist Church identity ahead of hearing from the Commission on a Way Forward in 2019.